Who would have thought that when William Webb Ellis picked up a ball at Rugby School that, 150 years later, the trophy bearing his name would have become one of the most iconic pieces of silverware in world sport? 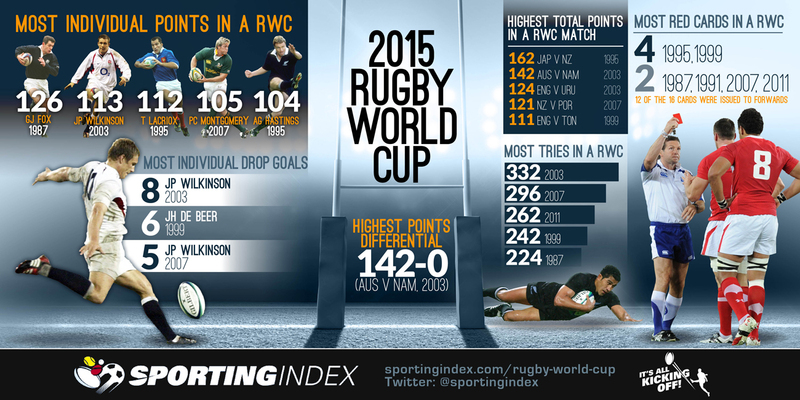 From the high-scoring try-fests to the match-winning individuals, Sporting Index has crunched the numbers on the teams and individuals who have made the Rugby World Cup an unforgettable piece of sporting theatre over the past 28 years. Jonny Wilkinson’s record eighth drop goal for a tournament in 2003 was perhaps the most famous in rugby history (sorry Australia), but he still trails Grant Fox for the most points in a tournament. The All Black bagged 126 points as his side romped to victory in 1987, including 30 conversions, 21 penalties and a solitary drop goal. As the sport becomes more competitive, the 162 points scored in the 1995 pool match between Japan and New Zealand may never be beaten, but will we see more tries than 2003’s record haul of 332? Only the next six weeks will tell. 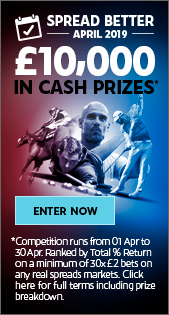 1987, FRA v SCO 2007, CAN v JAP 2011, CAN v JAP Interested in learning about how spread betting works? 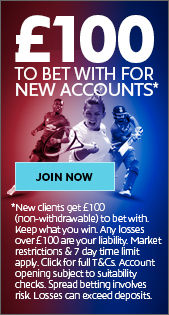 Visit our training centre to learn about spread betting.